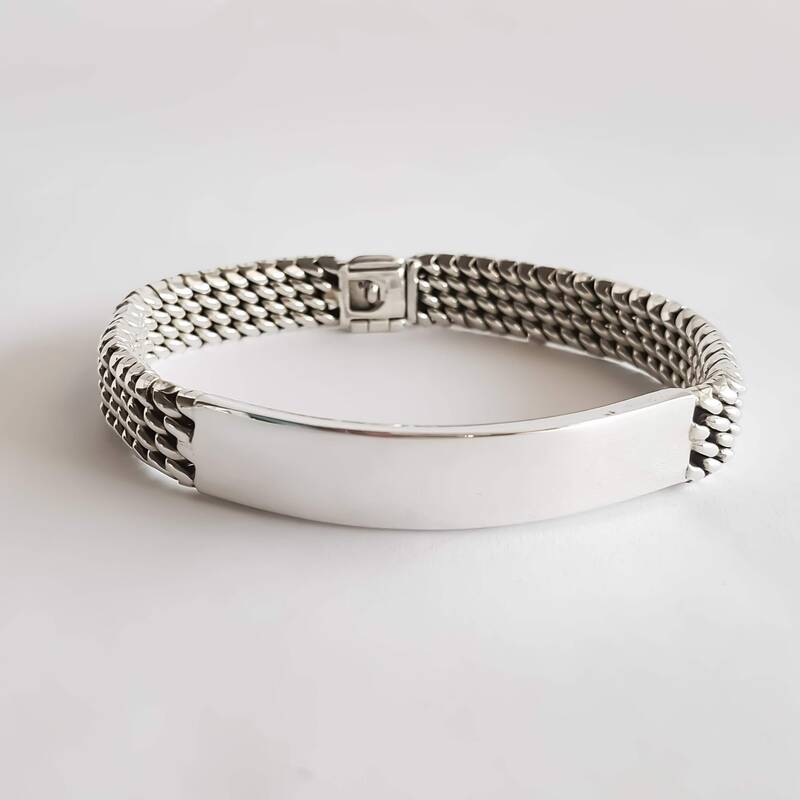 Handcrafted to present a woven texture, these heavy duty silver ID bracelets for men are stylish, sophisticated and streamlined for greatness. 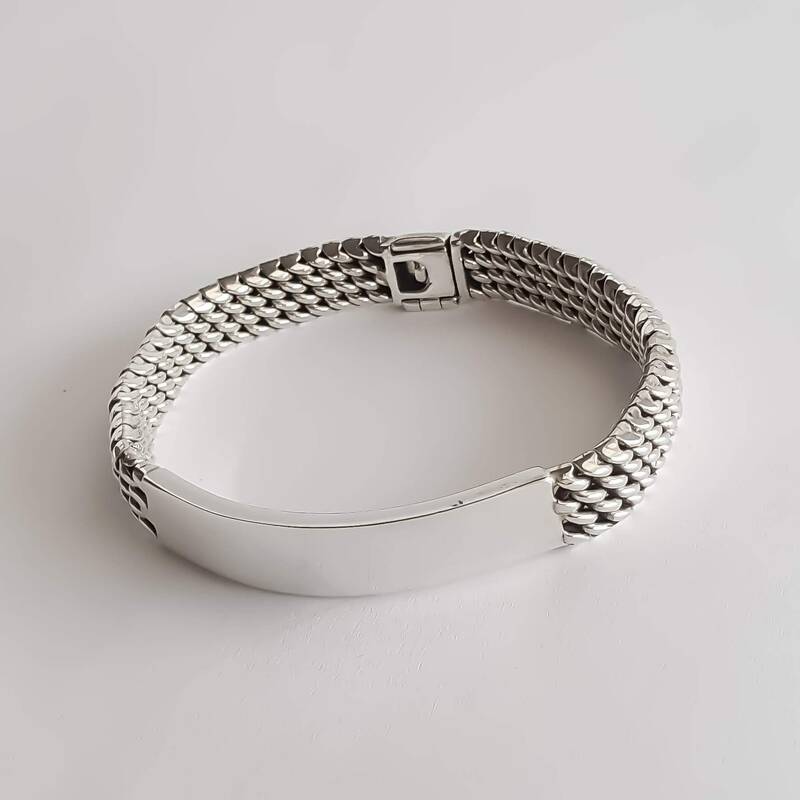 Finished with blank plates that can be engraved, the woven chain bracelets make exquisite personalized gift ideas for dads, husbands and male friends on special occasions such as birthdays, anniversaries and retirements. Best gift idea for Christmas! We do custom sizes. 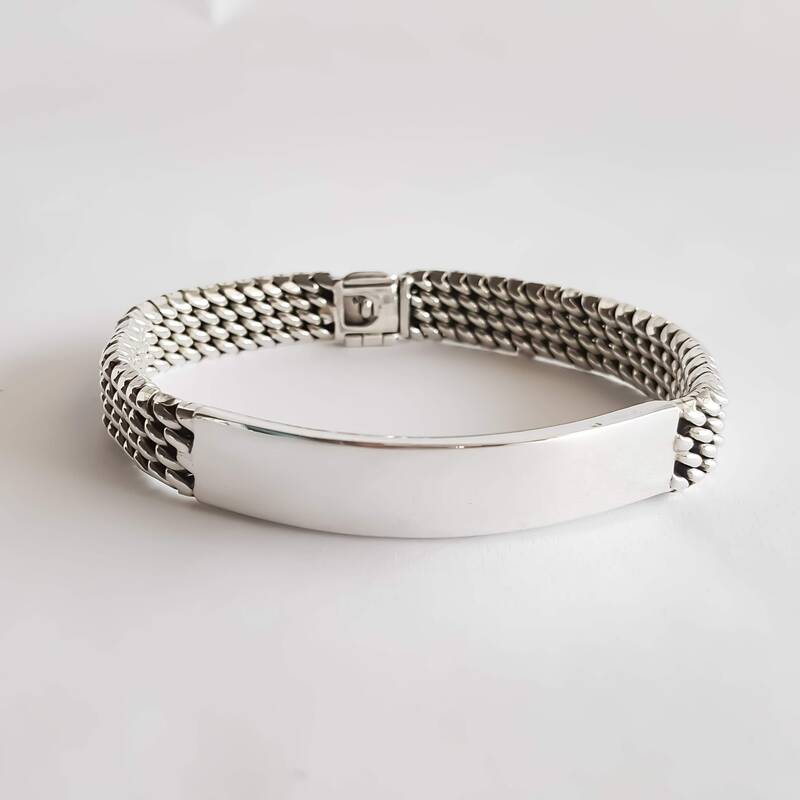 Send me a message when you place your order. Consider 10 business days for shipping.